Unsatisfied with your insurance settlement? Get your best insurance settlement with Five Star Claims Adjusting! Storm surge can be one of the most dangerous parts of the storm. When a hurricane, or any storm with high wind comes ashore, it pushes the ocean water with it. The surge can vary on the speed of the wind, the tide at the time that the storm hits, and the elevation of the land along the shore. In low-lying areas, storm surge can go inland for quite some ways. This leads to flood damage. Generally, homes and businesses are required to have flood insurance if they are in an area below a certain elevation. If you are above that "required level", then it is optional. If you don't have flood insurance, then any damage incurred as a result of rising water is not covered. If you live in a coastal area, flood insurance is highly recommended. 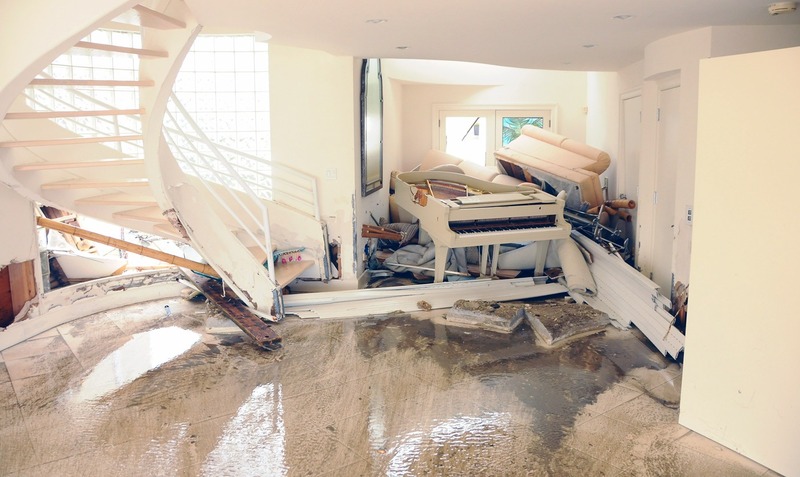 If you have a flood policy, then Five Star can help with any flood damage insurance claims. Call us to get a FREE Policy Review before hurricane season! On October 10, 2018, Hurricane Michael made landfall near Mexico Beach, FL as a category 4 storm. It was the most powerful storm of the season and caused more than $6 billion in insurance losses in the US alone. The mammoth storm impacted more than fifteen Florida counties. Bay County was the hardest hit. Residents there filed more than 80,000 property loss claims. Among the other hard-hit counties were Jackson, Leon, Gulf, Gadsden, Calhoun, and Washington in which residents filed a total of more than 45,000 property loss claims. 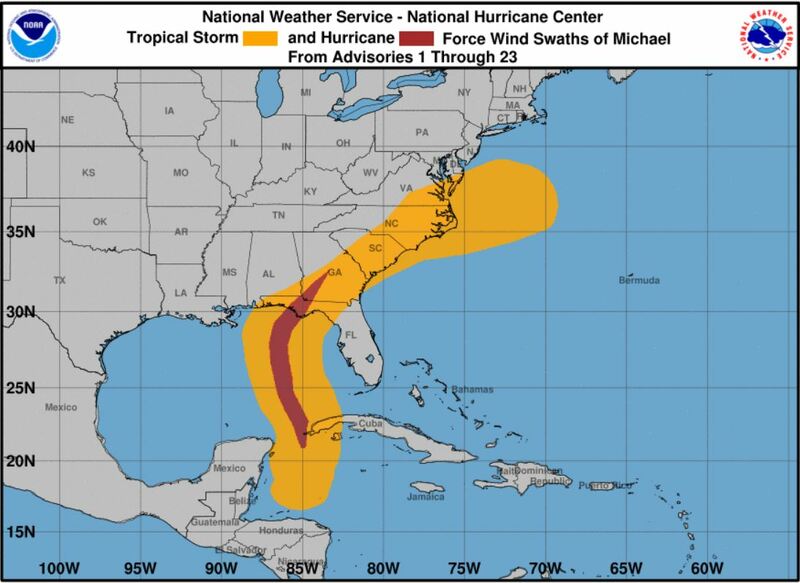 On October 10, 2018, Hurricane Michael made landfall near Mexico Beach, FL as a strong category 4 storm. With sustained winds of 155 mph, Hurricane Michael became the most powerful storm of the 2018 season and the second major hurricane of the year to strike the United States. This mammoth storm caused more than $6 billion in insurance losses in the U.S. alone and impacted more than fifteen Florida counties. Reports by the Florida Office of Insurance Regulation (FLOIR) show Bay County was the hardest hit. Residents there filed more than 80,000 property loss claims. Among the other hard-hit counties were Jackson, Leon, Gulf, Gadsden, Calhoun, and Washington in which residents filed a total of more than 45,000 property loss claims according to data collected by the FLOIR. CBS news reports that as of mid-March, more than five months after Hurricane Michael made landfall in the Florida panhandle, more than 20,000 people are still displaced. Many residents are still waiting for their insurance claims to be processed by companies who have received thousands of hurricane claims before construction can even begin on their homes. Some live in temporary FEMA trailers, while others are able to remain in their homes while waiting for repairs. 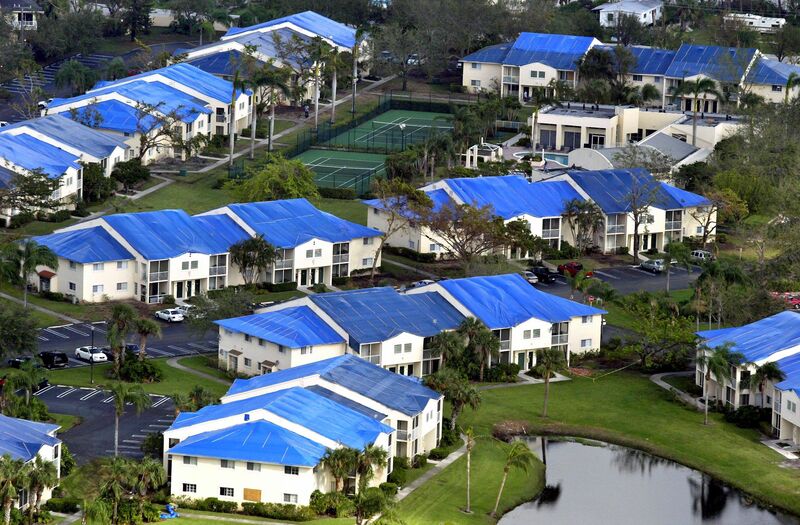 If you looked down on the Florida panhandle from the sky, you’d see almost 8,000 temporary blue roofs. These roof coverings were installed by the US Army Corps of Engineers and its contractors to help residents with roof damage remain in their homes while waiting for repairs. As of mid-March, more than 29 cubic yards of storm debris have been cleared, but many people are still waiting for their homes to be repaired so they can return to a normal life. Experts say it will take a year and a half to two years to rebuild the Florida communities that were hardest hit by Hurricane Michael. For some residents who experienced damage to their homes or businesses, the long wait will soon be over, and a call regarding an insurance claim is just around the corner. For others, the frustration of waiting for that call will be compounded by an insurance company offering a low settlement which will not cover all the necessary repairs to damage caused by Hurricane Michael. To an insurance company, policyholders are simply names and cases on a list. In the case of a disaster like this one, the list is long, and the costs high as insurance companies add up claim after claim. But each property owner who purchased insurance did so in order to receive protection for just such a disaster as Hurricane Michael. Every resident deserves the full benefits established by their insurance policy. Each business or homeowner deserves to have all the promises made by their insurance company kept and fulfilled. Within days of the storm’s passing, Five Star’s public adjusters were on the ground in the hardest hit areas in Florida, speaking with residents, helping them assess the damage to their homes and businesses, preparing to file insurance claims on behalf of each client. We were there for residents immediately after the storm, and we’re still available to help now. Victims of Hurricane Michael have until October 7, 2021 to file an insurance claim. Let Five Star Claims Adjusting help you get the settlement you deserve.